Word reaches us of yet another new outlet for you crate diggers. 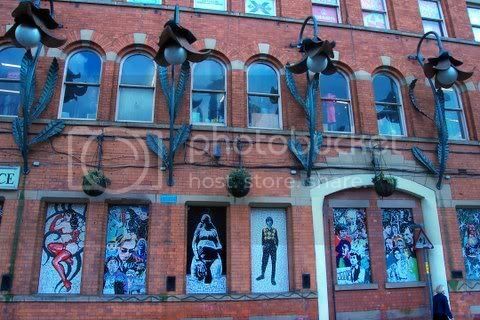 This time it’s Vagabond Vintage & Vinyl who have set up stall on the top floor of Manchester’s iconic Afflecks Palace. As the name suggests they sell a mixture of Vintage clothing and, we’re reliably informed, a growing selection of good quality music on Vinyl including some rare and collectable bits and pieces. Afflecks can be found at 52 Church St, Manchester M4 1PW and is of course very handy for the record shops in the Northern Quarter too. The stall is located on the top floor, round the corner from the Top Cafe. We’re sure to be paying a visit so expect a full review coming soon.